Watch the official Videoclip here: http://youtu.be/gEFK3GKJV0s Early support by Annie Mac / BBC Radio 1, A-Trak, The Magician, Arthur Baker, Purple Disco Machine... The six piece collective claims to have its Kibbutz somewhere in the Aegean Sea. Sirens Of Lesbos aka SOL (Sun in Spanish) have a serious, noble goal: They want to spread mantras – musically uplifting and spiritually meaningful songs that inspire you to embrace life in all its forms; that make you dance in your fantasy or in the real world. Their acclaimed debut single «Long Days, Hot Nights», is not only a balearic ode to the spirit of summer, but can also be seen as the first deep breath of a game-changing meditation. Om. American Men’s Fashion Magazine GQ recently picked the track as one of the best 25 songs of the summer 2014. From Ibiza to beyond – it is an amazing start for this unknown act from Greece who call their sound “Fantasy Music” and dedicate this record to DJ Alfredo – master of the Balearic Beat. Watch out for these 2 new remixes by Claptone & Fred Falke and the outstanding official music video directed by Camilla Mantovani and shot by acclaimed cinematographer Marc Gomez de Moral who has photographed videos for Pet Shop Boys, El Guincho, Sonàr festival, Two Door Cinema Club and The Battles and for the latter work was nominated for best cinematography in a video at the UK Music Video Awards 2011. 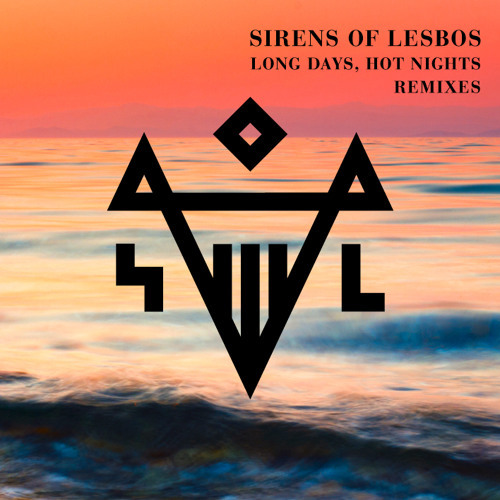 Artist: Sirens Of Lesbos Release: Long Days, Hot Nights (Remixes) feat. mixes by Claptone & Fred Falke. Label: Exploited LC: 15799 Early Feedback: A-Trak: Lovely. The Magician: Claptone Remix is great. Arthur Baker: Another killer Claptone Remix for a great song. Purple Disco Machine: Claptone for me. VIBE.COM: Sirens of Lesbos aka SOL are a six piece collective whose aim is to spread mantras and spiritually meaningful songs on a global scale. "Long Days Hot Nights" is a balearic ode to the summer that was recently picked by GQ magazine as one of the best songs of summer 2014. Claptone is coming out with a killer remix now, perfect for your Ibiza closing experience or Burning Man decompression. Earmilk: A balearic tribute to the carefree season...not to be missed by fans of deep house, Claptone's danceable rework brings the summer heat, adding some extra punch to the original. Jesus! This sounds like straight from Moby's "Play" album. Keep up the good work! OMG the first time I heard it I LOVED it!!! So fresh so clean :D Nice rework!